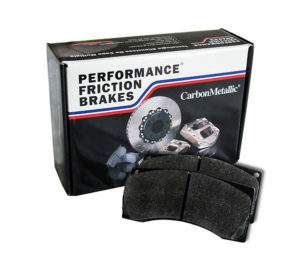 PFC Brake pads offer a wide range of sports car applications. Each PFC product is meticulously created to the highest performance and technology expectations. For PFC, we take pride in the accomplisments of the drivers and race teams that run our product. With More Championships than Any Other™, PFC is the best brakes on the market. Known around the globe in the Sports Car market, we know It's Quicker™. PFC offers the only brake kit that has ZERO DRAG. Drag has a huge impact on tire utilization, grip, and speed. PFC’s patented Zero Drag technology results in quicker pedal response, increased corner speed, and faster transition times. Stiffness is paramount in response, modulation control, vibration, and release time. PFC calipers are consistently stiffer throughout the operating temperature range. Stiffness and reduced caliper hysteresis increase Quickness and ABS response times. PFC calipers run cooler than any other caliper on the market using piston heat caps to reduce temperatures. This temperature reduction is key in optimizing caliper stiffness reducing drag. Eliminating brake drag decreases the weight of all components of the brake system. The weight of the caliper is optimized through thermal capacity studies and FEA optimization. PFC makes the quickest package lighter. Let us prove it to you.